Do you need a permit to keep bees or sell honey? Beekeepers must register their hives with the province where they are kept. Registration is free and it must be done annually by submitting apiary details to the Provincial Apiculturist. This is the only permit needed to keep bees. Some cities have Bylaws that allow beekeeping. Many cities do not allow beekeeping but usually ignore the situation so long as there is no nuisance problem and some cities enforce a no beekeeping policy. If you want to keep bees in an urban area, it is a good idea to check the local bylaws. In Canada a permit is required to move bees between provinces and some provinces require a permit to sell hives or used hive equipment. The apiary act requirements are below. Do you need a permit to sell honey? Honey can be sold at the door or at a Farmers Markets without a food inspection permit. Labelling requirements vary from province to province but in general the name of the producer, contact details and weight of the honey must be on the label. Some provinces are tightening the rules for food sales at Farmers Markets so check with the food fair organizers for appropriate information. Honey that is retailed through a grocery store must be packed in an approved container and a nutrition box must be present on the label. Since most retail stores require a Universal Product Code (UPC) the producer must register with GS1 Canada to purchase a code (one for each size of container). Honey that is shipped out of province, or out of country must be packed in an establishment that is registered with and inspected by the Canadian Food Inspection Agency. Registering with the CFIA also allows a producer to grade the honey and sell as Canada Grade No 1 honey (#2 if there is higher moisture content, #3 if it is unfiltered, there are wax particles or it does not meet the higher grade standard). Except in Ontario where the province has its own grading system, honey can only be given a grade by producers/packers that are registered with CFIA. Does your city allow beekeeping? Some cities allow beekeeping and others do not. Progressive city councils that have changed their bylaws have done so after presentations by beekeepers about the benefits of bees and beekeeping. Need help with city bylaws? Here are some progressive cities that allow beekeeping, along with a copy of their bylaws. You can use their bylaws to draft suitable set of guidelines for your municipal council. New Westminster BC Canada - Bylaws were drafted by John Gibeau who was also instrumental in helping other beekeepers achieve bylaw changes for City of Vancouver, Burnaby, Langley township and Port Coquitlam. Saskatoon SK Canada Section 21.1- allows for bees provided that they do not exhibit defensive behaviour. 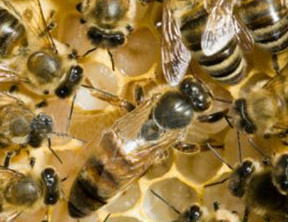 Johannesburg South Africa Beekeeping By-laws - provides reasonable guidelines for beekeepers. It is important to register bee hives annually. Please contact your nearest provincial apiculturist and supply necessary details.